The news of Salman’s bail has been going viral and supporter’s have been in full support of him. The defence had questioned the testing of the animals and the reliability of witnesses, NDTV reported. On Thursday, Khan had been convicted in Jodhpur, sentenced to five years in jail and fined 10,000 rupees ($154). The court ruled Khan, 52, killed the two blackbucks, a protected species, in Rajasthan while shooting a film. Four other actors who starred with him in the movie and were also charged with the offence have been acquitted. 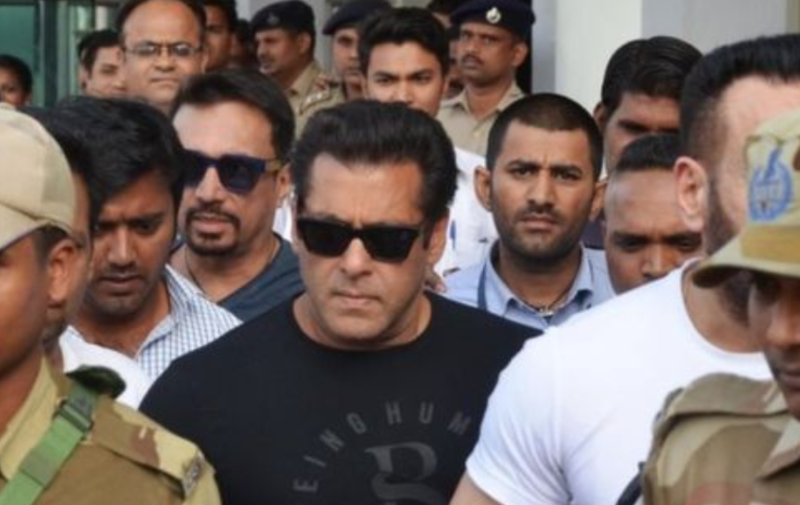 Khan, who spent two nights in Jodhpur jail, will appeal against his conviction at a higher court. Judge Ravindra Kumar Joshi delivered Saturday’s bail decision at the Jodhpur court. Rumour has it, Bishnoi (one of many Punjabi gangsters) said he would kill Khan in Jodhpur? so Salman’s security has been heightened. ← Bollywood kids to look out for!